We were privledged to have 9th degree black belt Grandmaster D.H. Kim, from Tuscan Arizona lead us with a weekend of training on November 9th-11th 2007. To make this an even more fun and exciting event we did our training at a Retreat Center in the mountains! The Retreat Center is quite affordable, has nice accomidations, has unbeleivable views of the Rockies, and is right in a wonderful natural setting of Colorado forrest. 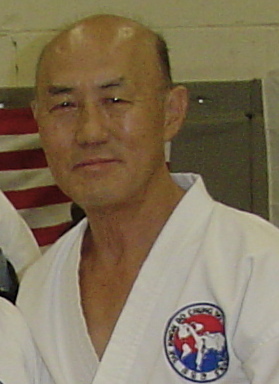 About Master Kim: Master D.H. Kim has been training in and teaching Tae Kwon Do for an impressive 52 years. He is one of a few rare masters in the United States of the 9th degree Black Belt level (Grandmaster). He is also the head of our organization, the Tae Kwon Do Chung Do Kwan Schools. Master Kim has an inspiring and dynamic personality. Workouts with Master Kim are challenging and always sure to improve your skill. Master Kim gives personal instruction and help to students of all levels. He is a master at encouraging students to excel and find strength within themselves to do more than they could imagine on their own. Master Kim does more than instruct and correct, he builds people and he provides a source of true encouragement, not just in the martial arts, but to the whole of their lives. I have been honored to know and train with Master Kim for over twenty years. It is always a privilege for me to train with him and I always look forward to workouts, and learning and training with Master Kim. More extensive pictures of the event are here.